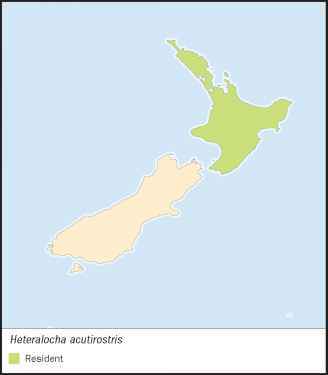 French: Huia dimorphe; German: Hopflappenvogel; Spanish: Huia. physical characteristics 18 in (45 cm). 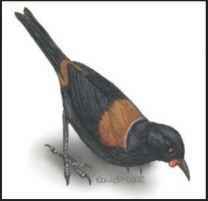 Bluish black plumage, white band across the tail end, and bright orange wattles. Actively walked and hopped but was a weak flier. 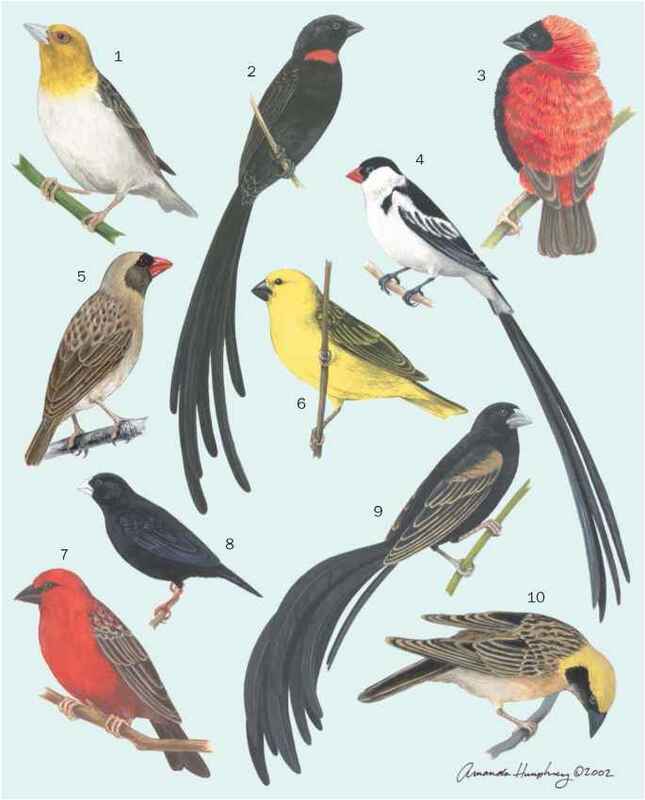 Occurred as non-migratory pairs that defended a breeding territory. Fed on insects and other arthropods found on the forest floor or in foliage and also ate fruits. Built a cup-shaped nest of sticks on the ground or low in a shrub. Laid two to three eggs. Revered by the Maori culture, but was hunted for feathers and as food.